Addressing Cybersecurity Threats to Your Business’ Video Data. 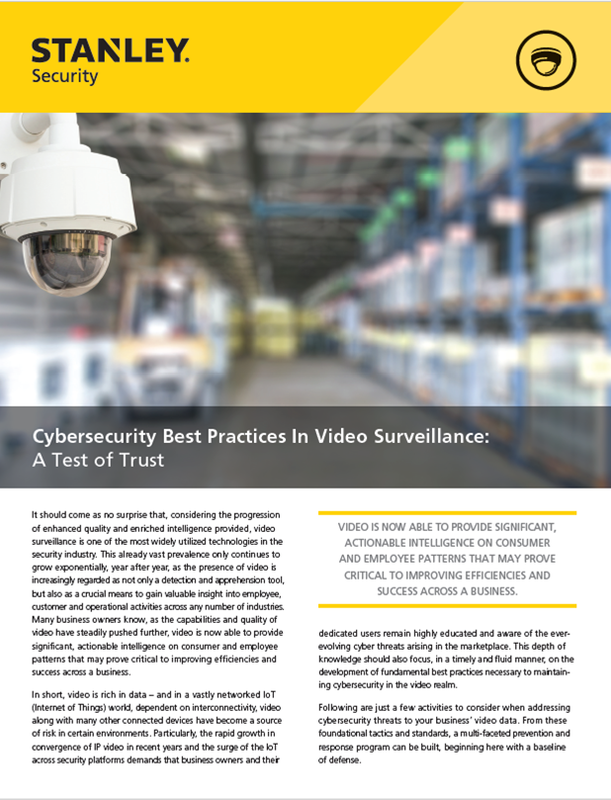 Many security professionals and business owners know, as the capabilities and quality of video have steadily pushed further, video is now able to provide significant, actionable intelligence. Protecting your video surveillance system from security threats is critical. Download this informative article to learn more about partnering with STANLEY Security to implement video surveillance best practices for your business.